Steve Jobs broke all the rules of leadership and management. He was an erratic micromanager; a brutal force to be reckoned with at meetings, often eviscerating staffers for their “bozo ideas“; and typically shrugged off his associates’ suggestions in favor of his own gut instinct. “He never mellowed, never let up on Apple employees, never stopped relying on his singular instincts in making decisions about how Apple products should look and how they should work,” New York Times columnist Joe Nocera told Forbes in August. The world—both online and off—now mourns the death of this atypical, innovative leader, who lost his battle against pancreatic cancer today at age 56. Facebook. Twitter. LinkedIn. They’re all aglow on many a Mac tonight with quotes, notes, icons, and news stories honoring Jobs and his unique approach—the same approach that made him both a tyranical dictator and a creative genius, an image that became seared with the Apple brand indelibly. And that’s what happened with Jobs and Apple—the man and the company became one and the same. From the days in 1976 when Jobs and business partner Steve Wozniak tinkered away in the garage of the Jobs’ home in Cupertino, California, building the Apple 1 computer to his Orwellian-themed Macintosh computer ad in 1984 to his ouster from Apple in 1986 after a contentious power struggle to his eventual return to the company, catapulting it beyond its rivals with the development of iPods, iPhones, and MacBooks. One thing was evidentally clear during this 35-year timespan: Apple and Jobs were inextricably linked. The tech world evolved around Jobs in the 2000s. If he announced the release of a new Apple gadget, millions of consumers rushed to their area stores in droves to buy it even if it meant waiting in line overnight. Similarly, one small piece of bad news from Jobs could cause Apple stock to plummet drastically in a matter of hours. 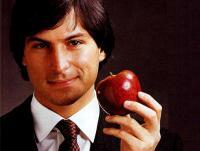 As a leader, Jobs’ allure was his innovation, creativity, and passion for developing top-quality products. To Jobs, perspective was everything and it was advice he shared with Stanford graduates in a 2005 commencement speech. Jobs may have been an atypical leader, but he leaves behind one very important leadership lesson: A leader should always seek to blaze new trails.